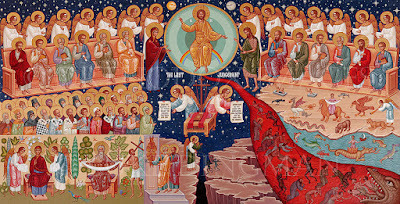 A happy Feast of All Saints to one and all! This is one of my favorite feasts. 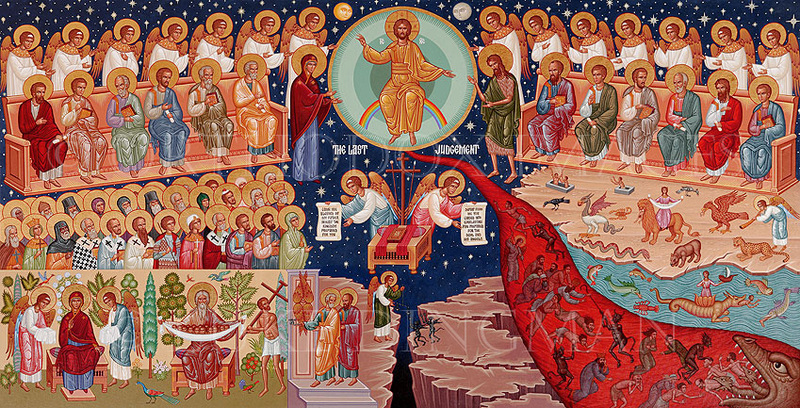 The month of November is not formally a liturgical season, but since it begins with All Saints and ends with Christ the King, these four weeks really do have the feel of a liturgical season focused on meditation on the Last Things: Heaven, Hell, Death, and Judgment. Moreover, for those of us in the temperate zone of the northern hemisphere, the falling leaves, migrating animals, and dying back of the ecosystems with the advancing cold serve as a natural reminder of the end of physical life. 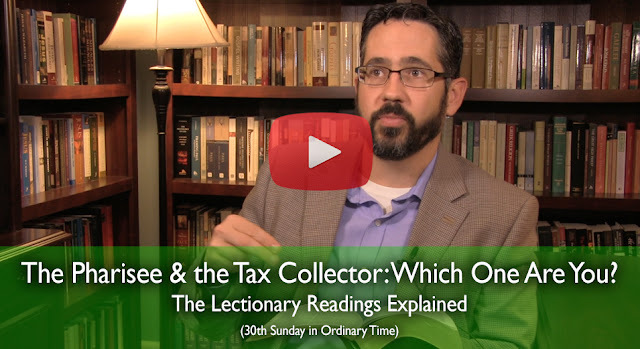 After checking out John's post below, my video is now up for viewing explaining this Sunday's Mass Readings. I hope it proves helpful! Thanks -- and please Like and Share! 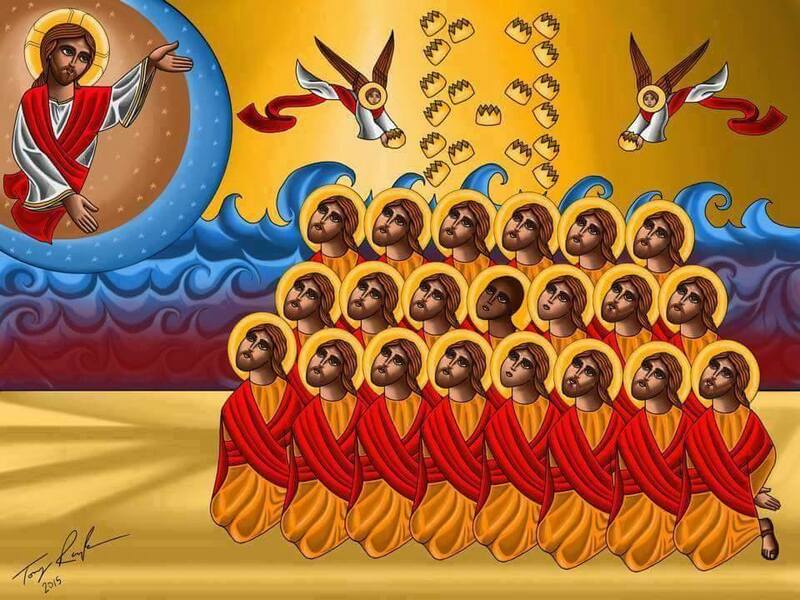 Last year Christians around the world were shocked and saddened by the execution of twenty-one Egyptian Christian men who were in the wrong place at the wrong time, and fell under the power of ISIS. 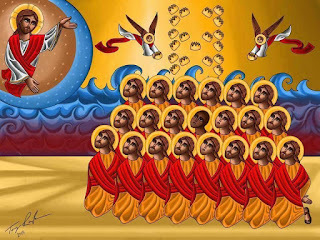 This martyrdom is just one of the more dramatic examples of abuse and oppression that seems so prevalent in the contemporary world. Where is God in all this? Does he pay attention to poor and the oppressed? The Readings for this Sunday dwell on these and related issues. My latest video is now out. 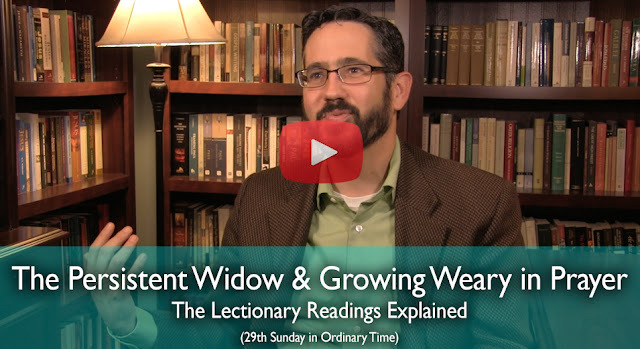 I hope it helps you prepare for this Sunday's Mass. Thanks for liking and sharing and for checking out our Kickstarter page to keep these videos going. It seems likely that in the immediate and probably indefinite future, faithful Catholics in America, and their institutions (schools, hospitals, parishes) are going to find themselves under a fair amount of social and judicial pressure. I think we can safely expect an onslaught of legislative and juridical attempts within the next eighteen months to force Catholic institutions to comply with the new sexual/gender ideology or else close their doors. It's been a few generations in America since faithful Catholics have faced pressure to this extent, and so it would be good to prepare spiritually. 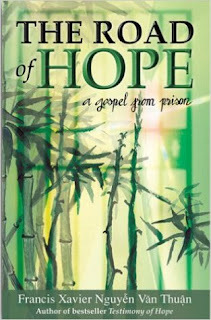 I recommend a good book for tough times, The Road of Hope: A Gospel from Prison by Francis Xavier Cardinal Nguyen Van Thuan. Cardinal Van Thuan was made coadjutor Bishop of Saigon in 1975, just a few months before the city fell to hostile Communist forces. He was imprisoned by the leftist regime for thirteen years, during which time he scribbled notes to his flock on scraps of paper which were smuggled out of the prison camp. These notes were collected into The Road of Hope. In spirituality and style, it is very much like the writings of St. Josemaria Escriva, who likewise spent many years living under leftist persecution of the Church (during the Spanish Civil War). In any event, The Road of Hope is both bracing and consoling, helping the reader to focus his or her thoughts and spirit on things above, even in the midst of a world that can seem so dark. Cardinal Van Thuan reminds us how to maintain joy and hope even under profound distress. Usually we think of men of prayer and men of war as complete opposites. A monk in a habit—such as St. Francis—is a man dedicated to peace, a total contrast to one clad in armor brandishing weapons. 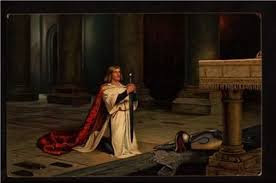 Yet the Readings for this Sunday combine the imagery of war and prayer in interesting ways that provoke our thoughts about the nature and reality of supplicating God. 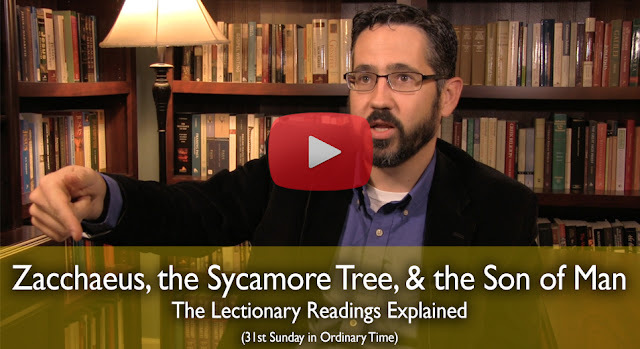 My latest video is now out on the Sunday Mass Readings Explained. I hope you enjoy it! The Pentateuch forms both in Judaism and in Christianity the first and fundamental piece of the Bible and is the basic document of Western religious history. The currently prevailing paradigm for the study of the Pentateuch in Biblical Studies dates from the 19th century and forms a cornerstone of Biblical Studies and of the reconstruction of a history of ancient Israel. 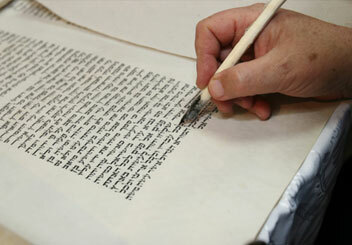 This paradigm extends to the narratives of the Pentateuch as well as to its legal collections. According to this paradigm, the Pentateuch was composed over a longer period, with the three most important stages JE (from before the Deuteronomy), D (the core of Deuteronomy originated in the 7th century) and P (Priestly texts exilic/postexilic). This paradigm was established by Julius Wellhausen's «Prolegomena zur Geschichte Israels» (1878). While it has been modified in many ways, also it has been in the last thirty years more and more in a crisis; nevertheless, no fundamental paradigm shift has taken place. It is the aim of this conference to discuss this paradigm critically and to explore whether a fundamental paradigm change can lead out of the current impasse of old models and open new approaches to the Pentateuch. The international speakers are experts in the fields of Biblical Studies, Legal History, Linguistics, and Ancient Near Eastern Studies. The Thanksgiving holiday is coming upon us shortly, and this season of the year always makes me think, How do you give thanks if you don’t believe there’s anyone there to thank? Thanksgiving is not a holiday that ever could have arisen in an atheist culture. The themes of the Readings for this Sunday focus on the gratitude for God’s salvation. 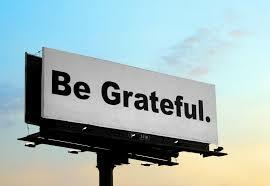 Gratitude is an important psychological and spiritual disposition. Dr. Daniel G. Amen, the popular brain researcher and public health spokesman, identifies gratitude as a key character quality of persons with physiologically healthy brains. That’s right: gratitude affects your physical health, including the shape and functioning of your brain. This Sunday’s Readings focus particularly on gratitude to God, and how it should be expressed. 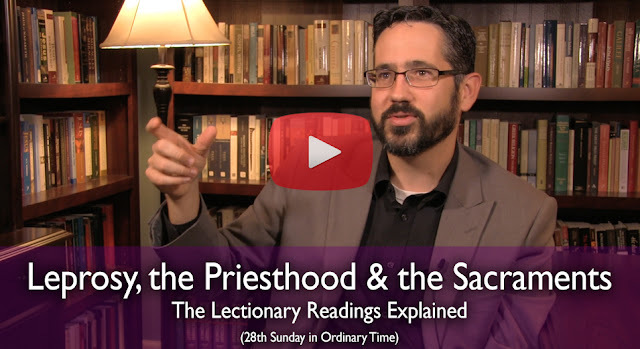 My latest video is out for this Sunday's Mass Readings. I hope it proves helpful to you. Thank you in advance for Liking and Sharing it! 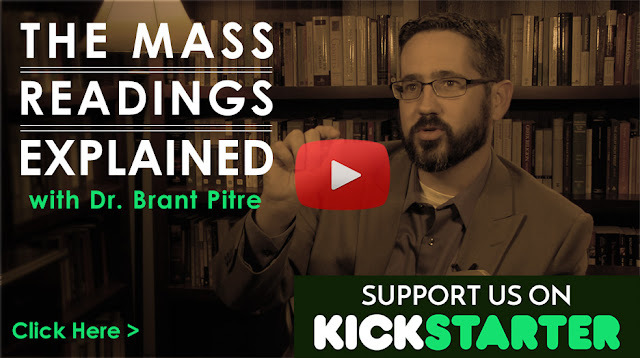 I just wanted to invite you to check out our Kickstarter campaign for "The Mass Readings Explained" video series. If you can help support the project and pass this on to others who can benefit from it, it would be greatly appreciated. My bibliographic article on the term "covenant" (Heb berith, Gk diatheke) has just appeared in the online publication, Oxford Bibliographies, from Oxford University Press. The beginning of the article can be accessed here, but the full article is behind a paywall. 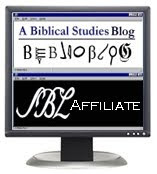 Much thanks to those who recommended me to the editors of Oxford Bibliographies as being knowledgeable in this area of biblical scholarship. It was an honor and a heavy responsibility to consider so many excellent books and articles in order to choose a limited number of the most seminal works on each facet of covenant scholarship. The decisions were not easy and I do not claim always to have judged perfectly, but overall I am satisfied with the resulting article. Happy reading!